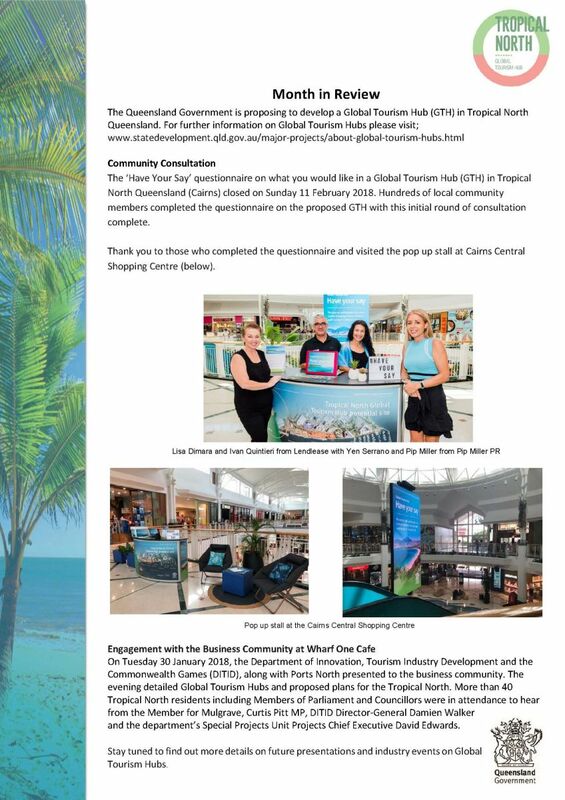 Ports North implements a Community Relations and Engagement Program designed to build broader industry, community, media awareness and support for Ports North and its associated activities. 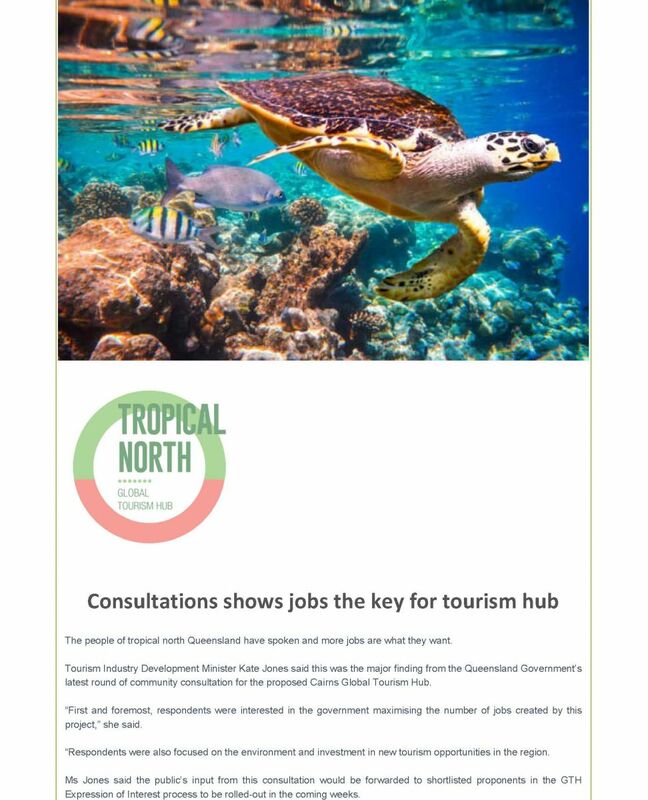 In particular, Ports North seeks to ensure key stakeholders, including the general community, understand and support Ports North’s role as a leader in economic growth in Far North Queensland. • $1/tonne on non-containerised, which will directly impact cost of trade. • No rationale is provided for the levy amounts (vs $2, $5 or any other dollar figure) in the Budget measure. • The levy is applied to every import including fuels, cars, clinker, pharmaceuticals, white goods, heavy machinery, etc and irrespective of their biosecurity risk. • The levy is ongoing and the Government estimates to raise $115 million a year. Discussions with effected industries suggest the figure is potentially much higher. • The levy is not capped. As the nation grows so will revenue from the levy. • Monies raised from the levy will go into the Consolidated Revenue Fund and not directly into a Biosecurity fund or any biosecurity measures. • To be enacted the proposed levy will require new legislation. • The Department has advised that it will receive the levy from a yet to be determined domestic industry sector, but has indicated this will either be stevedores or ports. • The Department has advised that it will seek payment “on a quarterly basis” from the domestic industry sector. • The Department has advised that it is not in favour of placing the levy on the importer that is creating the biosecurity risk. • There was no consultation by Government with industry prior to the announcement of the levy in the Budget. • The levy was recommended in the Intergovernmental Agreement on Biosecurity Review (run by an independent expert panel), undertaken in 2016. • Ports Australia, at the time, did not support the review’s recommendation and advised of the detrimental impacts to industry and the economy. No further engagement with industry transpired. • During current industry consultations the Department advised that it will only act as the tax receiver and that the domestic industry sector acting as the Government’s ‘agent’ will need to manage how it recoups relevant costs incurred by the administration of the levy. • The Department has advised that it will be drafting legislation shortly and will engage with stakeholders accordingly. • The Government currently has mechanisms in place to recover costs from importers, e.g. border processing charges and duties applied to imported goods, which we believe should be utilised to collect the biosecurity levy. • The independent review conducted in 2016 recommended one such Government mechanism as an alternative solution (Full Imports Declaration). - empty containers. [This accounts for less than 1% of imports or potential forgone revenue of $0.4 million. - low value goods – valued under $1000. [These goods are predominately moved by air transport. • The Government is the only body at the import gates across the country with readily accessible information on all imports, through its Customs and Quarantine arms. • The Department has rejected the proposal that Australian Government Authorities, i.e. Border Force or Customs collect the levy directly through the import process. • Ports Australia is currently liaising with various stakeholders including stevedores, parliamentarians, Shipping Australia, Australian Logistics Council, National Farmers Federation and the Cement Industry Federation, to raise awareness of the biosecurity levy and discuss relevant issues.